Proactive Advisor Magazine: Bryan, talk about your career path in financial services and the focus of your current advisory practice. After graduating from UCLA with a degree in economics, I returned to Hawaii and began my financial career at one of the largest banks in Honolulu. I took a short detour into an entrepreneurial venture for a few years, which turned out to be quite successful. However, I decided that my heart was in the financial industry, and I had the opportunity to join my father, who was in management for a large insurance company. This company had a financial-advisory practice and that seemed like a good fit with my long-term goals. I quickly passed the various licensing exams and jumped right into building my business. I now have over 16 years of experience as a financial advisor. 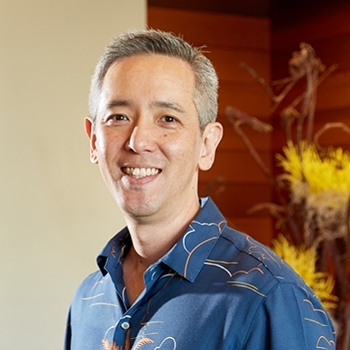 In 2006, I merged my independent practice with that of my current partner, who is a well-respected person in the insurance industry in Honolulu. The vision was for our firm to be a single-stop solution for our clients in many different areas of financial services, including financial planning; life, long-term-care, and disability insurance; investments and wealth management; and property and casualty insurance. We approach our clients’ financial needs on a holistic basis and have a goal of recommending tax-advantaged strategies across a variety of accumulation, protection, and distribution needs that clients may have. I gave an interview a few years after I started in the business to the NAIFA publication “Advisor Today,” where I was honored to be recognized as a top advisor under the age of 40. My mantra back then was “vision through action.” Most people in our business might think that vision leads to action, but I think of it the other way around. I believe that one of the most important attributes for an advisor is being proactive. Learn everything you can about your craft and learn everything you can about your clients. Find out what drives the true life and financial goals of a client. Only then can you help them formulate a vision or plan for successfully addressing their financial future in a holistic fashion. Taking action also means having an educational focus at the forefront of everything we do for clients. I want our clients to be well-informed partners in the decision-making process when it comes to building a financial and investment plan. A big part of this is managing client expectations from the outset of the relationship. By thoroughly, yet simply, explaining the intended course of action, the rationale behind it, potential pitfalls, the time horizon involved, and the benefit to the client, we can help prevent emotion-driven decision-making. This becomes especially important in an investment environment when a market downturn occurs. The client should thoroughly understand the long-term strategy we have jointly constructed, understand the parameters of how it will likely perform in both favorable and unfavorable market conditions, and be aware of the risk-management strategies being used for their portfolio. Knowing those parameters going into periods of market stress makes it much easier for clients to stick with their investment plan. What is your financial-planning process? Although we have access to some of the finest technology in the industry, I am still a pad-and-pencil person when first getting to know a client or client couple. I want the focus to be on having the client share their thoughts and feelings. Most people who come in for a first meeting have been referred to us in some way, either from one of our current clients, a third-party professional we work with, or through another networking source. We usually start by talking about the principles of our firm, how we like to work with clients, the services we offer, and how we are compensated. From there, I ask probing questions and listen thoughtfully to the answers. We will jointly ascertain whether there is a good fit with our services and the way we work. Assuming the answer is positive, we embark on a rigorous planning process that embodies principles that I have adopted as a Certified Financial Planner: defining the relationship, data gathering, setting broad goals and objectives, analyzing the clients current financial status and assets and liabilities, developing planning recommendations and alternatives for consideration and discussion, implementing strategies designed to fulfill the plan objectives, and having periodic review sessions to monitor progress. While the broad outline of a planning process does stay consistent from client to client, the specifics of each client engagement can be very different. Setting priorities is a very important part of each client discussion and the development of their personalized plan. What stage of their financial lives are the clients in—accumulation or distribution? What are their specific family circumstances? Is legacy planning or charitable giving a high priority? Do they have specific insurance needs, health-care issues, elder-care concerns, or perhaps a child with special needs? Will they have college-funding needs? How do they envision their retirement, and what kind of lifestyle do they want to pursue? Those are the kinds of issues that can be very different from one client to another. If we do not have the expertise in-house to address a specific concern, we have trusted third-party partners who can be a valuable resource. How do you talk to clients about risk management? It absolutely is an important component of our practice. It is an expectation we set with clients early in the process for both their overall financial plan and their investment plan. We see our job as helping clients to navigate critical financial events in their lives and financial markets that will inevitably go through different cycles. A big part of risk management, as I see it, is helping clients to take emotion out of the decision-making process. As an advisor, I also must be cognizant of not letting short-term decisions affect recommendations for clients. If strategy X is underperforming and strategy Y is performing exceptionally well, the natural inclination might be to abandon X in favor of a higher weighting to Y—the flavor of the month. But strategy X might be playing a critical role in a portfolio and may perform that role well when market conditions change. That is the type of consideration I explain to clients as part of the risk-management discussion. As I mentioned previously, when we address risk and manage expectations with clients, that is an educational process. We explain the recommended course of action, the time horizon involved, and the rationale behind our recommendation and how it might compare to other alternatives in terms of risk and historical performance. Speaking broadly, we lean toward an investment planning methodology that has different buckets for different time horizons. Money that is needed sooner will be invested in considerably less-volatile asset classes than money that might not be needed for 20 years. We work closely with third-party asset managers on the selection of active, tactical strategies where that is appropriate for a client’s portfolio. I use an analogy with clients about driving. To get from point A to point B in a car, you need to use the gas, the steering, and the brakes. Each tool is used differently depending on the situation you face on the road. It is similar for tactical, active investment strategies. They can be more aggressively positioned in favorable market conditions, can adopt a defensive stance when markets start to enter a down or highly volatile period, and have the flexibility to change allocations among asset classes and sectors when that is appropriate. What attributes do you look for in third-party asset managers? I think there are four key ones. First, what is their company background, the strengths of their team, and their specific expertise? Second, what is their overall investment philosophy and approach? Is risk management a major component, for example, of their strategies? Third, do they have a wide range of strategy options? While we occasionally will work with a manager with a narrow focus, we like to use managers who can provide a range of strategies that might be appropriate for our clients. Lastly, what is the historical track record of their strategies? While there are no guarantees for future performance, we are interested in analyzing actual in-market performance over time. The bottom line is we are most interested in working with managers who can help us achieve the desired risk-adjusted returns for our clients. Our focus is on delivering goals-based investment performance for clients while managing risk carefully. The asset managers we work with are an important part of progressing toward that objective. 1. Pursuing professional certifications and ongoing continuing education. Mr. Nakamoto is a Certified Financial Planner (CFP) and Chartered Retirement Planning Counselor (CRPC). 2. Taking leadership roles in professional organizations. 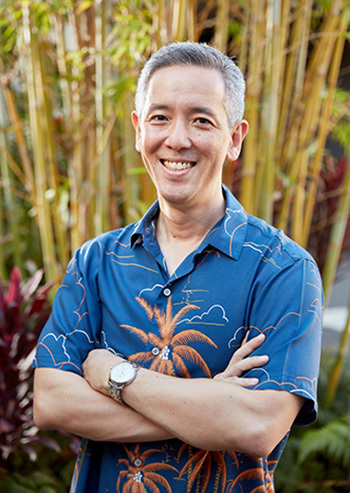 Mr. Nakamoto has held officer positions within the Financial Planning Association of Honolulu and the National Association of Insurance and Financial Advisors (NAIFA) of Honolulu. 4. Giving back to the community. Mr. Nakamoto has been involved in a variety of community and school organizations and has provided mentorship to industry professionals entering the financial-services industry. A native of Honolulu, Mr. Nakamoto attended the University of California, Los Angeles (UCLA), where he graduated with honors and a degree in economics. He also studied at Osaka University in Japan. Mr. Nakamoto has been a financial advisor for over 16 years and, with his current partner, founded Spectrum Wealth Management in 2006. He is a Certified Financial Planner (CFP) and Chartered Retirement Planning Counselor (CRPC). Mr. Nakamoto married his “high school sweetheart,” and he and his wife have two children. They like to travel and spend time together as a family, “enjoying the beautiful area we live in.” Mr. Nakamoto is an avid sports fan and played basketball in high school. He still likes to “get out on the court” when time permits. Disclosure: Securities offered through Securities America, Inc., a registered broker-dealer, member FINRA/SIPC. Advisory services offered through Securities America Advisors. Spectrum Wealth Management and the Securities America Advisors companies are separate entities.